The Goboist: WEDDING TIPS THAT PAY OFF IN MORE WAYS THAN ONE! WEDDING TIPS THAT PAY OFF IN MORE WAYS THAN ONE! 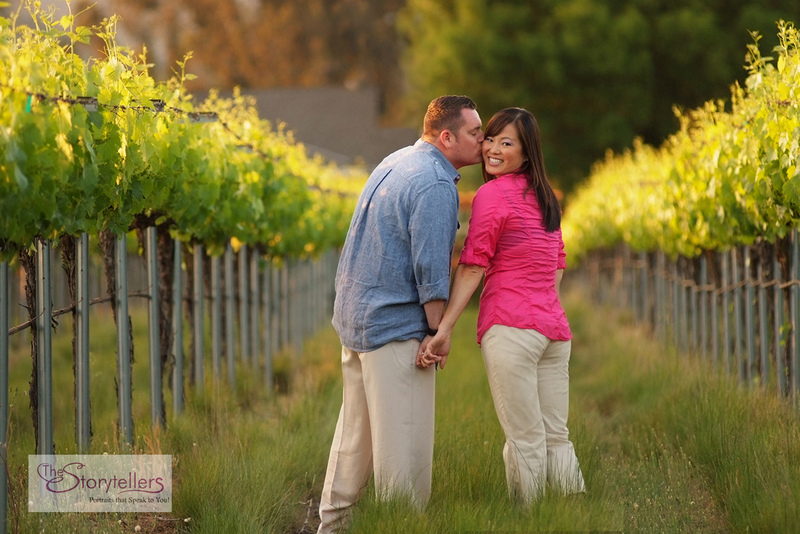 #1) Engagement sessions can be a huge marketing tool for you. Insist on doing an engagement session for your couples and explain why…Do it long before the wedding and do it as your gift to them--Just the session--no prints or files included. It does not matter if they've already had someone take pictures already. YOU haven't done it. Tell them this is how you learn about the best way to photograph them, to learn what they do and don't like, and it's your chance to tutor them on the best poses for them. We use the engagement session as our opportunity to teach them how to stand, how to sit, and what to do with their hands when being photographed. It's all about making them feel relaxed in front of Your camera. All of these tips prepare them for their wedding day photography and they will remember their engagement experience. We've also found that they're far more likely to buy a wall print from a stunning engagement session than anything from the wedding day. 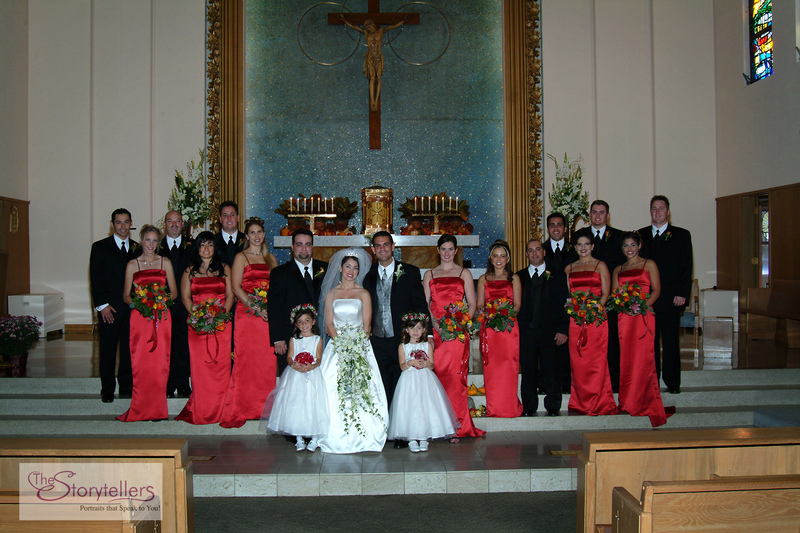 #2) Tell your couples that you will attend their rehearsal--not to take pictures--but to meet their family, wedding party and most importantly to meet the church's coordinator and their minister or priest. You need to find out about the rules of the church for photography--where You are permitted to set-up your tripod and if you can move or use multiple locations. In addition I always ask the coordinator if they would bring the lights UP to wedding day levels so that I can pre-measure the ambient light and pre-plan how I'm going to do the return to altar photography. I must know in advance if I have to bring additional lighting if the church's lighting is inadequate--especially if they have a large wedding party or large family groups. Besides the technical necessity attending the rehearsal always impresses everybody there because most photographers don't do this! It shows that YOU CARE about their wedding and respect the sanctity of the church when you attend the rehearsal. In addition when I showed up at rehearsals it was more likely that they would bend their rules to accommodate my photographic requests. #3) This is really an important one! If you have a bride with a bunch of bride's maids, where her hair-dresser/make-up artist is doing everyone's hair and make-up, have the bride INSIST that she be done FIRST! It does you no good having her brides maids done before the bride--the bride is in all the images! With the bride done first you can start with the most important images of the day--the bride's formal portraits. Then as her girls are ready you bring them in, pair them up, and do the groups, bring in parents, siblings, etc. DO YOU COMMIT LIGHTING MALPRACTICE IN THE STUDIO? WHAT IS YOUR I.S.O. AND WHY?